A second childhood is possible —a nd one way to get there is to write for children. 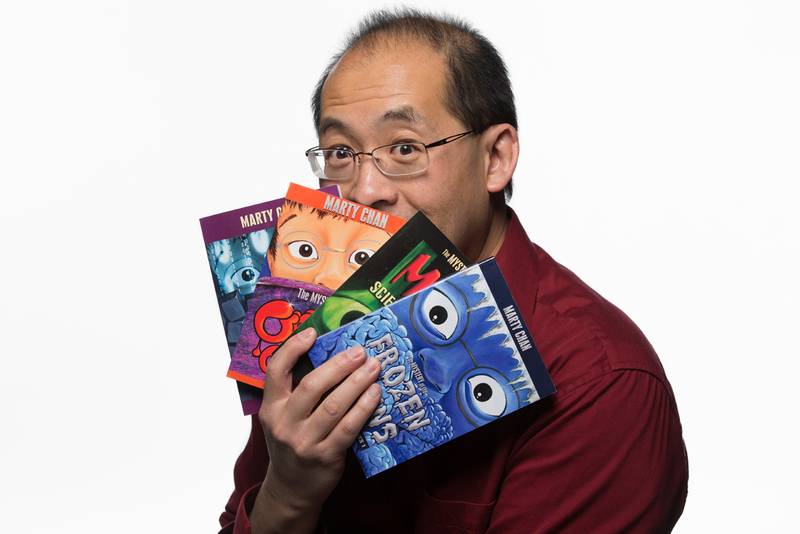 On Thursday, May 2 at 7 p.m. at the Nelson Public Library, award-winning children’s author Marty Chan offers a free talk about writing books for kids, and will read from his own work. Through show-and-tell, anecdotes, and short writing exercises, Chan will reveal his approach to writing books that grab the attention of kids and hold them from the first page to the last, breaking down the creative process into bite-sized pieces. Chan’s background is originally in theatre, radio, and television. In particular he’s known for a six-year run of The Dim Sum Diaries on CBC Radio, as well as evocative plays for adults. Now, he draws from that storytelling background and trademark humour to inspire the next generation of lifelong readers, writing picture books, funny chapter books for kids, and adventure novels for young adults. Young readers have gobbled up Chan’s books, which include the Marty Chan Mystery Series, Bigfoot Series, the Ehrich Weisz Chronicles, and the Keepers of the Vault Series, as well as two standalone books. Awards include two Best Young Adult Novel awards the Diamond Willow Award, and the City of Edmonton Book Prize, among others. In 2016, he was named one of the 25 most influential artists in Alberta by the Alberta Foundation for the Arts. He lives in Edmonton. Chan’s visit to Nelson also includes school visits; he appears at the Library through a partnership with Elephant Mountain Literary Festival, and with generous financial assistance from the Canada Council for the Arts through the Writers Union of Canada.